Allotments By Laurie Duggan, Fewer and Fewer Press 2011. At the time I was going to a high school near the train line next to West Ryde (Meadowbank Boys High School). I was fascinated by the ending of this poem, what did it mean? Why end long poem this way? A month or so later I was on a train going through West Ryde station and looked out the window at the shops on the Ryde side. Something caught my eye…above the awning of a shop there was a large sign ‘NO PIANOS’. Suddenly the entire poem made sense. 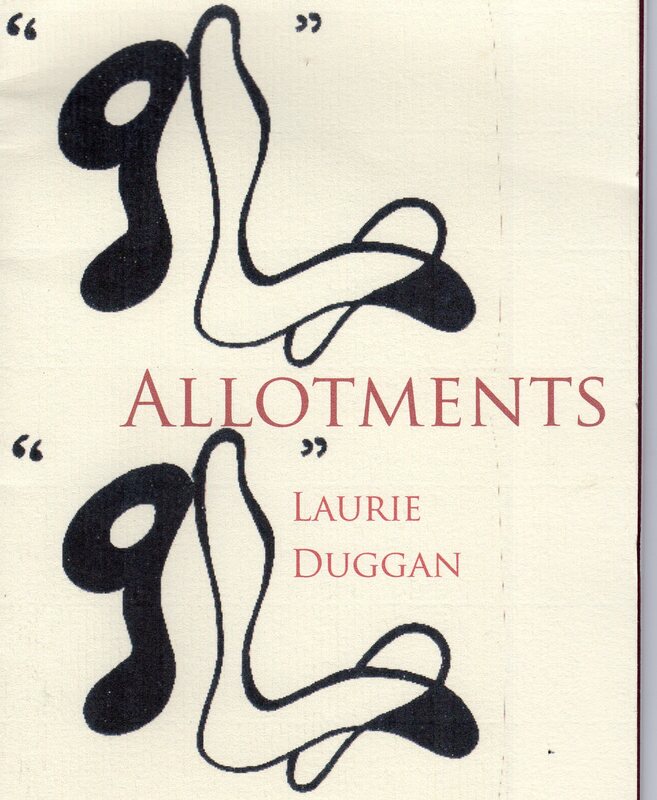 Over thirty years later I remembered my reaction to ‘Marijuana Christmas’ as I read through Duggan’s latest collection, Allotments, – a beautifully produced chapbook published by Fewer & Further Press, a small publisher based in the USA.. The poems in Allotments are, for the most part much shorter, but I couldn’t help but notice some points of similarity. Flicking through the collection I noticed that the poems almost seem to breathe. Some sit tight on the page, justified on the left, a straight line formed by the first letter of each line – turn the page and the next poem literally explodes across the page, words flying everywhere. Before the next poem begins to retreat back in a slightly tighter form. This ending, while effective, does seem to recall the ‘NO PIANOS’ sign above the shop in West Ryde. These touch-points link the poems together, hinting at a greater complexity tantalisingly just out of reach. In the end it is these poetic jewels scattered throughout this beautifully produced little volume which once again proves Duggan’s status as one of the leading contemporary Australian poets. Allotments has been published in a very limited edition and you may need to hurry if you want to pick up a copy. For details contact Fewer and Fewer Press. Mark’s review of Laurie Duggan’s The Ash Range (Picador, 1987) can be found on the Printed Shadow’s website. This entry was posted in Allotments, Issue 2, Laurie Duggan, Mark Roberts and tagged Abbey’s Bookshop, Australian Literature, Australian poetry, Conservative Britain, contemporary poets, Fewer & Further Press, Marijuana Christmas, Meadowbank Boys High School, New Poetry, West Ryde by Mark Roberts. Bookmark the permalink. Thanks Mark. I should only say that Fewer & Further is an American, not a British little press. I’m glad you liked ‘Marijuana Christmas’. It was a poem that got me into hot water with the newspaper critics at the time. 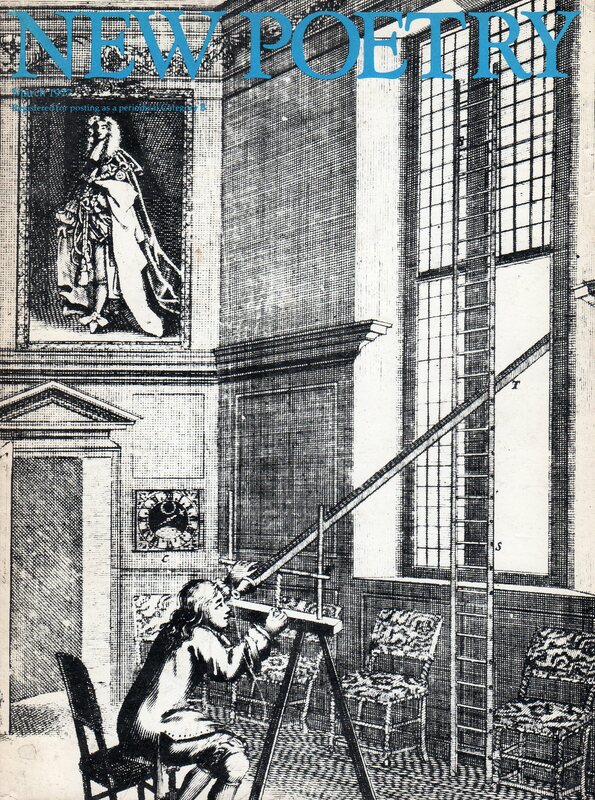 One called the book it was in ‘an easy tiny read’. Another said that the Australia i described was ‘a land made for loafers’. Such is life. Laurie – I have made a change and Fewer & Further is now a US small press……..actually they are a very impressive little US press….